Kelsey Mullins is the Director of Fulfillment for ABCOMRENTS. Joining ABCOMRENTS in 2008, Kelsey’s hard work and organization have driven her to be an active part of the hyper-growth of ABCOMRENTS. 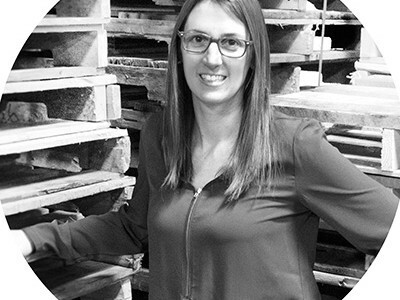 Kelsey has worn many hats within the company, starting as an Admin, to Warehouse Manager, to Operations Manager and ultimately bringing her to her current position, where she oversees our National Order Fulfillment and National Labor & Logistics. Her team ultimately figures out how to fill the hundreds of thousands of orders a year with flawless service and support from start to finish. A forward-thinker, she analyzes all event details and creates solutions to ensure perfect execution of national events. Kelsey has helped mold the team atmosphere at ABCOMRENTS, where everyone’s voice is heard. Knowing that the ABCOMRENTS staff works towards the same common goals, she appreciates the team spirit that surrounds her at ABCOMRENTS. Outside of work, Kelsey loves spending time outdoors with her husband, two young children and two dogs. She also enjoys entertaining at their home especially their annual chili cook-off in the fall.